In a continued effort by the U.S. and the United Nations to prevent Iran from reaching nuclear capability, a meeting was scheduled in Istanbul where negotiations resumed. Intelligence officials have been working hard to determine Iran’s true intentions with its uranium development program. One prominent Iranian figure has drawn the attention of the C.I.A. It has been long known that Ali Khamenei, the Ayatollah and Iran’s supreme leader, is the one influencing Mahmoud Ahmadinejad’s decisions. The C.I.A has been paying close attention to what this man has been saying and dissecting every word. Khamenei is somewhat of a mystery; the words that come out of his mouth seem to contradict Iran’s recent actions. He has stated that Iran has no plans for acquiring nuclear arms as it is considered a sin from a religious standpoint. It is really hard to know whether Khamenei’s statement holds any credibility. Prior to his comments against the acquirement of nukes, he had chastised Col. Muammar el-Qaddafi of Libya for his decision to abandon his country’s nuclear weapons program. He then went on to say that Iran is headed in the same direction if they cave in to Western demands. Intelligence has another reason to doubt Khamenei’s words. The Shiites community has been the minority in the Muslim community for hundreds of years. During their oppression, a concept known as taqiya was implemented. It was a practice where deception was commonly used to conceal their sectarian identity. Lying became common place in order for the Shiites to protect their own community. 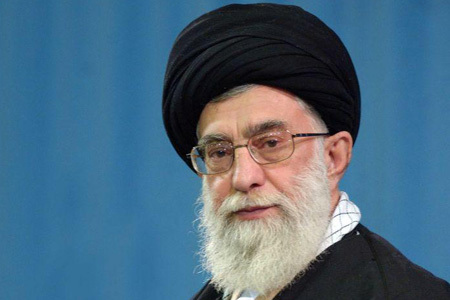 The rank of Ayatollah gives Khamenei the final authority in interpreting Islamic law and policy. His role within the Iranian government is considered pivotal. Whatever he says must not be taken lightly and every attempt must be made to determine the true meaning behind his words.